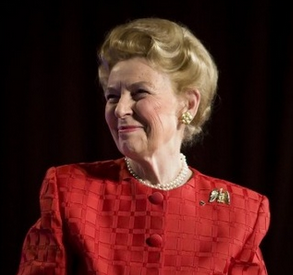 ARRA News Service: Giuliani: "It Hit a Nerve"
Giuliani: "It Hit a Nerve"
Dr. Bill Smith, Editor: Tonight (2-25-2015), Phyllis Schlafly, age 90, will be honored at the Paul Weyrich Awards dinner that precedes the start of the annual Conservative Political Action Conference (CPAC) for her tireless advocacy for the nuclear family, for traditional values, and for common-sense conservatism. She is indeed a saintly warrior whom I both admire and appreciate. Unlike many, she was not to busy to answer questions on issues and encourage this writer to continue promoting the conservative cause. Congratulations Mrs Schlafly. Tags: Phyllis Schlafly, Eagle Forum, Rudy Giuliani To share or post to your site, click on "Post Link". Please mention / link to the ARRA News Service. and "Like" Facebook Page - Thanks!